NEW! 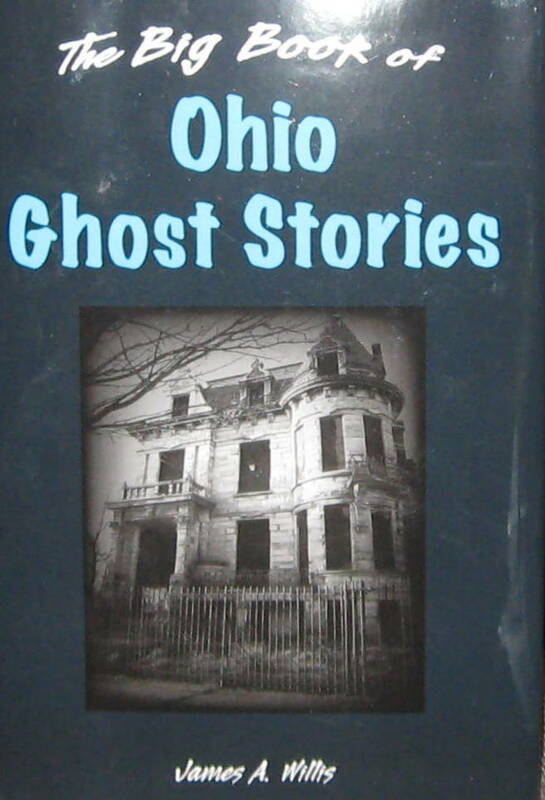 The Big Book of Ohio Ghost Stories, James A. Willis [ISBN 978-0-8117-1181-4] 262 pp. bibliography, Hardback $24.95 NEW! And he has! This big book o’ spooks is an excellent compendium of Ohio’s ghostlore, a record of the stories that have thrilled us from the 19th century through the internet age. As befits the ambiguous status of some of these stories, there are sometimes few specifics and much “it is said” or “as the story goes,” but there is also plenty of solid history about places like Fort Meigs, Brownella Cottage, and Franklin Castle. I especially like how Willis handled the Gore Orphanage story—delicately balancing between “here’s what we know” and “here’s what people say happened to them even though they’re looking in the wrong place.” It’s a fascinating and thought-provoking look at folklore creation in action. Willis also found new information in a historical pamphlet about the horrifying career of the “Hatchetman,” Andrew Hellman, who slaughtered two wives and families. He tells of the last days and moments of gangster “Pretty Boy” Floyd at East Liverpool and all about the career of the “Sir” Harry Andrews of Loveland Castle/Chateau Laroche. And he cites a forensic study that puts to rest any question about that body stain on the floor of the Athens Lunatic Asylum where the unfortunate inmate was accidentally locked in and died. Willis (who is braver than I would be!) even tried an experiment at the “haunted tunnel” on Twp. Rd 1536 in Ashland where spirits are said to push cars through the tunnel. The book is organized by areas of Ohio: four quadrants and Central Ohio/Columbus. 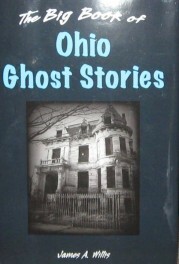 For example, Northwest Ohio contains stories of a headless trainman at Weidler’s Passing, BGSU’s theatre ghosts, Crybaby Lane at Euler Road; Holcomb Road’s ghostly school bus, the Old Potter House, The Elmore Rider (Headless Motorcyclist of Elmore), Brownella Cottage, Andrew Hellman “The Hatchetman,” Johnson’s Island, Kelley’s Island, Crybaby Bridge at Lima, Fallen Timbers Battlefield, Abbott’s Tomb, Simon Girty, Fort Meigs, Bloody Bridge, Gibbs Bridge. Naturally all the favorites are here: Franklin Castle, Moonville Tunnel, some witches’ graves, the Buxton Inn, Punderson Manor, Gore Orphanage, Columbus’s many ghosts, Athens’s paranormal legacy, Squire’s Castle, Rogues’ Hollow and Esther Hale. I have the usual complaint that the book doesn’t have an index—so helpful, especially if you aren’t from Ohio and don’t know what sites are located in which quadrant. (Heck, I’m from Ohio and I have trouble.) But it does include a really large and useful bibliography with a nice mix of books and websites. This is the perfect book for the ghostly legend-tripper and storyteller alike. And I love that Willis is a member of the Grand Order of Weird Writers!